1. Marketing is the process of Creating, Communicating and delivering Value to target market at a Profit. 2. Radical Marketing--> e.g. Boston Beer Company-->Instead of Spending heavily on advertising and big marketing budgets, company stretch the limited resources and stay close to competitors at grass root level and satisfy needs. 4. Marketing Channels:- The channels that are used to reach target market. (2) Develop growth strategies for adding new products and businesses to the portfolio, whilst at the same time deciding when products and businesses should no longer be retained. 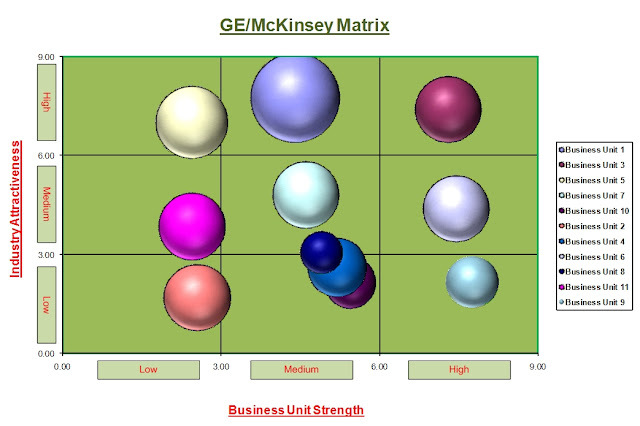 The two best-known portfolio planning methods are from the Boston Consulting Group and by General Electric/Shell. In each method, the first step is to identify the various Strategic Business Units ("SBU's") in a company portfolio. An SBU is a unit of the company that has a separate mission and objectives and that can be planned independently from the other businesses. An SBU can be a company division, a product line or even individual brands - it all depends on how the company is organised. Stars - Stars are high growth businesses or products competing in markets where they are relatively strong compared with the competition. Often they need heavy investment to sustain their growth. Eventually their growth will slow and, assuming they maintain their relative market share, will become cash cows. Cash Cows - Cash cows are low-growth businesses or products with a relatively high market share. These are mature, successful businesses with relatively little need for investment. They need to be managed for continued profit - so that they continue to generate the strong cash flows that the company needs for its Stars. Question marks - Question marks are businesses or products with low market share but which operate in higher growth markets. This suggests that they have potential, but may require substantial investment in order to grow market share at the expense of more powerful competitors. Management have to think hard about "question marks" - which ones should they invest in? Which ones should they allow to fail or shrink? Dogs - Unsurprisingly, the term "dogs" refers to businesses or products that have low relative share in unattractive, low-growth markets. Dogs may generate enough cash to break-even, but they are rarely, if ever, worth investing in. Once a company has classified its SBU's, it must decide what to do with them. In the diagram above, the company has one large cash cow (the size of the circle is proportional to the SBU's sales), a large dog and two, smaller stars and question marks. (3) Harvest: here the company reduces the amount of investment in order to maximise the short-term cash flows and profits from the SBU. This may have the effect of turning Stars into Cash Cows. (4) Divest: the company can divest the SBU by phasing it out or selling it - in order to use the resources elsewhere (e.g. investing in the more promising "question marks"). Market Penetration Strategies include Competition Pricing, Advertising, Promotions,Increasing Sales Team, Increasing Usage using Loyalty schemes. Market Development Strategies include new geographical markets, new differentiation, new distribution channels and different pricing policy. 1. 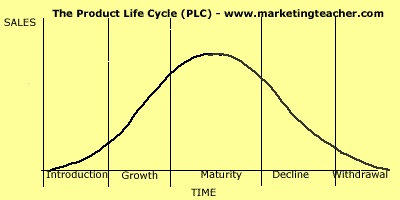 Concentric Diversification---> Products that have tech and other specifications to the exiting products. 1. Exploratory:- ~To shed light on the nature of problem ----> what and when? 2. Descriptive & Diagnostic:- To ascertain certain magnitudes----> Why? The experience curve effect is broader in scope than the learning curve effect encompassing far more than just labor time. It states that the more often a task is performed, the lower will be the cost of doing it. The task can be the production of any good or service. Each time cumulative volume doubles, value added costs (including administration, marketing, distribution, and manufacturing) fall by a constant and predictable percentage. Target Costing:- Here company fixed the desired profitability and accordingly decide the price. a. Mark up Pricing--> Add a standard markup to production cost. d. Value Pricing--> Charging a fairly low price for high quality offering. e. Going rate Pricing:- Firm based its pricing majorly on the competitor pricing and it is common for commodities such as steel and paper. Companies must ask this vital question---> How can we reach to our customers and how can they reach us?